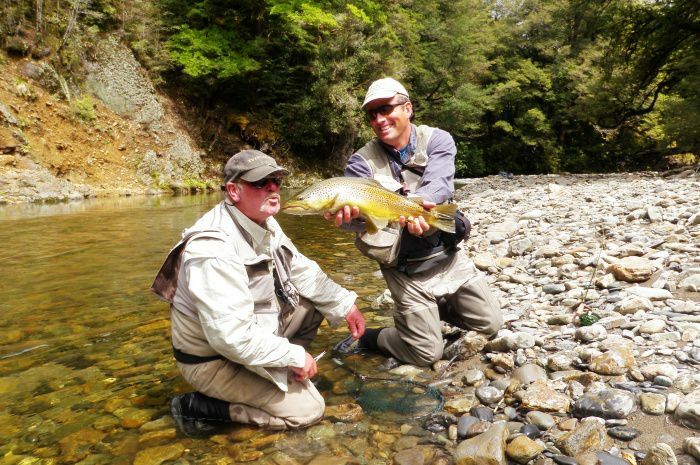 The river fishing season varies slightly depending on which part of New Zealand you are fishing in. In our area at the top of the South Island, the season opens on 1 October and ends on 30 April, so fishing starts in spring, moves to summer and ends in autumn/fall. Early season fishing in New Zealand has some advantages and disadvantages. On the very positive side, the fish haven’t seen an angler for five months and there are few anglers about. Some of the rivers will be running high due to recent rain and this can make a few of the larger river crossings challenging. However, with over 29 rivers to choose from (within a 90 minute drive), we can normally find a wonderful stream to spend the day fooling an early season fish or two! What’s more, many of our smaller streams are at their very best at this time of year. 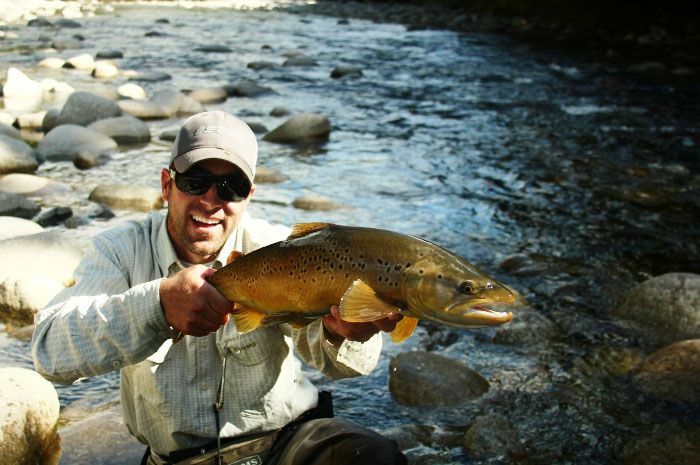 For some of our regulars, this fishing for two-foot trout in 20-foot wide streams is the highlight of the fishing year. This early in the season, the local brown trout seem to love big nymphs — the stonefly is a classic, early season fly. The fishing is still very much casting to sighted fish, and rivers such as the Owen usually have mayfly hatches on a sunny afternoon. 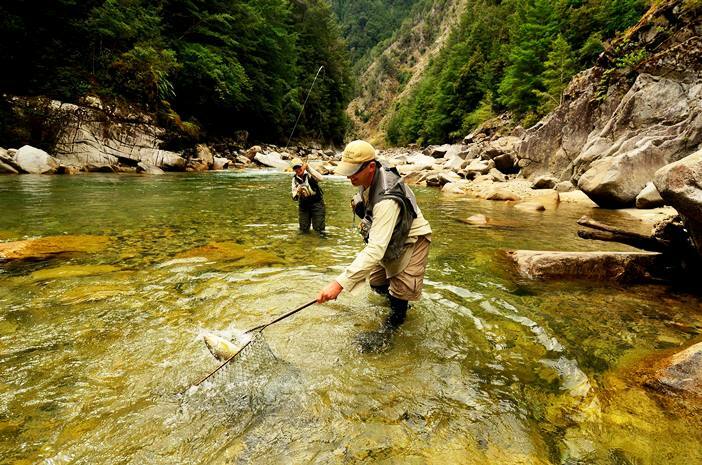 Early season will often see you fishing 50% of the time using a dry fly. The weather this time of the year can be changeable, so it’s always an idea to pack your dull-coloured rain coat. This is summer in New Zealand. It’s the busiest time to fly fish here (busy being a very relative term) as it’s classic New Zealand dry fly fishing at its best. The river levels have dropped and the weather is usually quite warm and more stable. Mid-way through summer, the sound of cicadas fills the air and the brown trout seem to spend a lot more time looking up for a tasty morsel to float by. Typically, 75% of your fish will be caught using a dry (Cicada, Blowfly or Grasshopper patterns work really well). April sees the weather cooling and this in turn sends a message to the browns that it’s time to stack on weight in preparation for their spawning in winter. Mayfly activity increases, so it’s Parachute Adams and small nymph time! The weather is less stable than high summer but the good news is that there are very few anglers on the river and thus any angling pressure is greatly diminished.